Daniel Hechter Prague Jacket. 100% Italian Linen with polyester lining. Classic single-breasted design with two button closure. 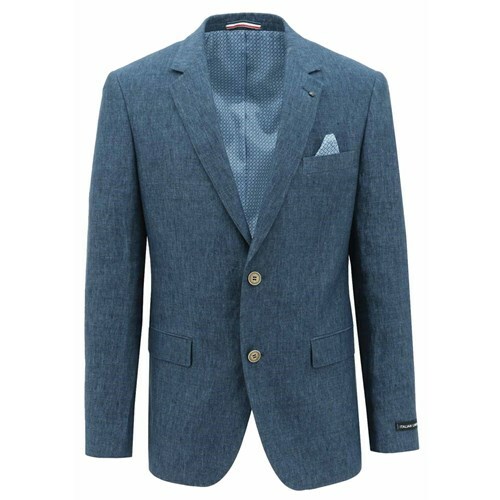 Featuring a double button, notch lapel with removable pin. Side vents in back, Four buttons on sleeve and four internal pockets. A stunning sports-coat and a great value price.